Urban logistics services firm Mojro has raised $650,000 (Rs 4.23 crore) in its pre-Series A round led by equity crowdfunding platform 1Crowd. In a press release, the two-year-old startup said the round also saw participation of others including Tamil Nadu-based diversified business group Naga Limited. The technology platform of Bengaluru-based Mojro helps fleet owners with organising capacity, route planning, fleet supply and operations, and others. In an emailed response, Swaminath Jeyachandran, co-founder of Mojro, said this was the second institutional investment round. Funds from the latest round will be used for ramping up the company’s tech backbone, expanding its marketing team as well as building partnerships with fleet owners, the press release added. Launched in 2015, Mumbai-based 1Crowd is an equity crowdfunding platform whose angel investors include Ganesh Natarajan, chairman, 5F World; Aniruddha Malpani, an IVF (in vitro fertilisation) specialist; and Krishnakumar Natarajan, co-founder and executive chairman, Mindtree. Other angel investors on the platform include MA Ravi Kumar, former CEO, American India Foundation; Venkat Srinivasan, a serial entrepreneur based in Boston; and Vivek Sharma, CEO of a pharma services company based in Boston. Last month, 1Crowd marked the first fundraising close for its debut angel fund at Rs 23 crore ($3.5 million). The fund has a target corpus of Rs 75 crore, including an option to raise additional Rs 25 crore. The fund has been positioned to co-invest with the equity crowdfunding platform. Mojro was founded in 2016 by former Mindtree employees Kishan Ashwath, Amit Kulkarni, Ranganath Seetharamu and Jeyachandran. The SaaS (software as a service) side of the business uses technologies like machine learning, Big Data analytics, heuristics, and cognitive science for optimisation of route, vehicle, space use and cost. This is done by taking into account various constraints for both shipper and receiver, including time frame, service-level agreements, types of goods and load distribution. An electronics and communications engineer, Ashwath had previously worked in Happiest Minds Technologies. Co-founder and tech chief Kulkarni is a mechanical engineer while operations chief Seetharamu is an MBA from IIM-Bangalore who had previously worked at SapientNitro. Jeyachandran is an MBA who had worked at Mumbai-based Dure Technologies in an earlier stint. In February, Bengaluru-based Diptab Ventures Pvt. Ltd, which operates tech-enabled logistics marketplace for intra-city deliveries LetsTransport, was raising nearly $15 million from two investors. 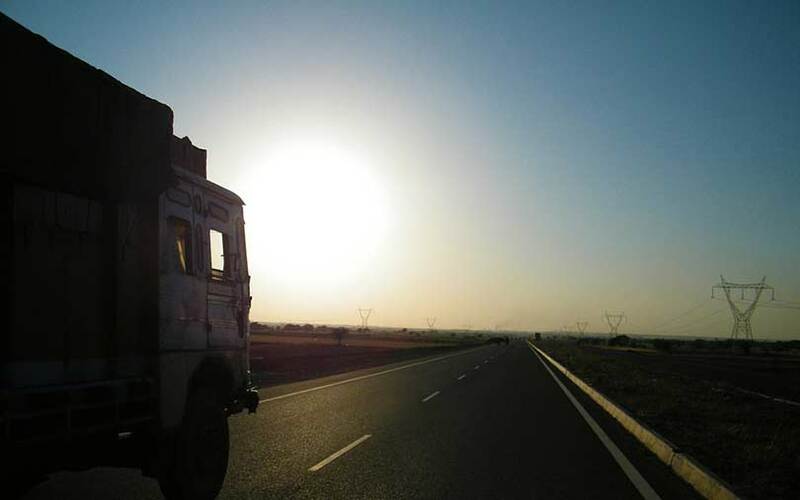 In February, Mahindra & Mahindra announced it will merge its logistics platform connecting cargo owners and transporters, SmartShift, with truck rental startup Porter, its portfolio company.